The science city and knowledge economy are presented to us as specific spaces of the city, as spaces of exchange, synthesis, collaboration and as new opportunities. Thus, knowledge production can be understood as a matter of lifestyle, as living in the city. Yet what are these spaces we live in and how do they relate to the production of knowledge? The relationship between city, worker and productivity in the recent past has been explained through ideas of domesticity. In the period of the Industrial Revolution, for instance, housing was planned to control and educate the worker, in order to invent a lifestyle that would increase productivity in factories. This was embodied in the urban projects of the Modern Movement. However, in an era of knowledge economy, the relationship between production and domesticity is replaced by relations of interaction and collaboration that have lost spatial characteristics. Therefore, it is almost impossible to define what the spaces of knowledge economy are. Can we rethink or redefine these spaces through the language of domesticity once again? Or, how does domesticity enable us to define the knowledge economy differently? 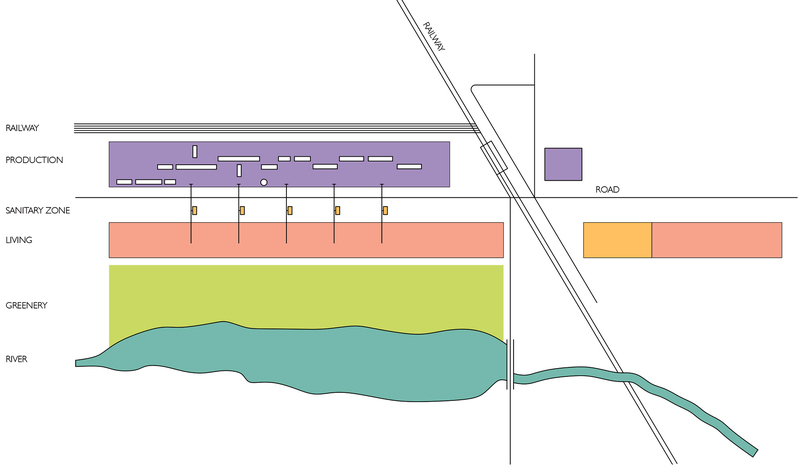 The subject of the thesis is the science city as a model of knowledge production but also as a potential urban model. The technological revolution of the 21st century that is based on information technologies has created new forms of production and management: the production of knowledge. As the economic driver of developed economies, importance is given to all processes of knowledge production and new opportunities of consumption, thus, to the spaces in which knowledge-based activities occur. Science cities are presented as a model of the spatial and social organisation of knowledge economy. Yet, they lack spatial and social specificity. The historical urban models convey that housing, production and productivity have always been considered as part of the same problem. The Industrial Revolution dictated specific multi-scalar processes of efficiency and production. The city of the Modern Movement was divided into functional zones of working and living and therefore infrastructures were important to connect these areas and regulate circulation. 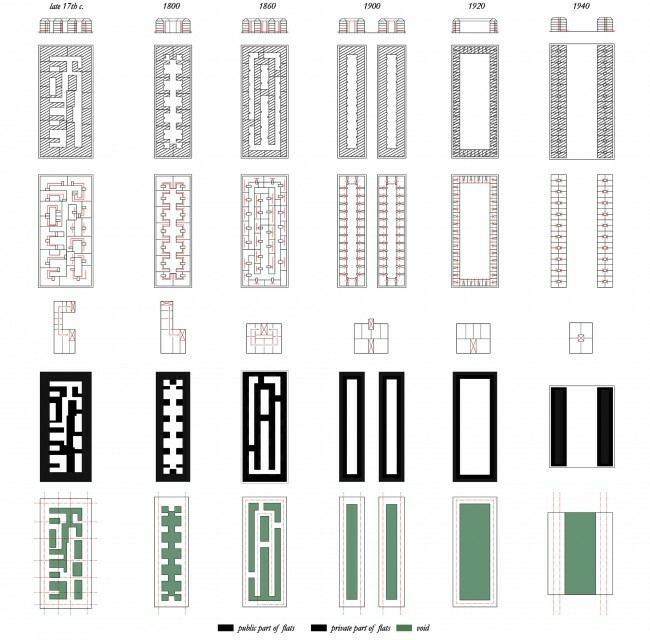 At the same time, the logic of the block came from identifying the minimum ‘cell’, often a housing unit repeated to form a housing block. This concept could not emerge without a new idea of domesticity defined by efficiency, functional separation, mass-production and repetition. Contrary to previous modernistic concepts, most notably in the 20th century, the present type of economy and the object of production have fundamentally shifted. So just as the industrial revolution transformed the city into a diagram of efficiency in the 19th and 20th centuries, the contemporary city is changing in an age of a new knowledge-based economy and effects the correlation between domestic space and productivity. Therefore, the goal of the research is to define what these relationships between domesticity and production in the science cities are. Previously, relationships between domesticity and production were defined and determined by efficiency, now these two imperatives are separated and spatialised in two groups of buildings: one that is highly efficient and another that is completely generic. Architecture of the first group, such as laboratories, can be classified as ordinary spaces of production, and are determined by spatial optimisation according to work processes and requirements that do not change, and have little design opportunities. For example, I found out in previous studies that labs have three main purely functional spaces: offices for theoretical work, laboratories for experimental work, storage space and service shafts that are adjacent to them. Furthermore, there are only two main organisational schemes of laboratories which are: an open plan lab that is shared by more than 4 people and a cellular organisation with more individual labs. Recently, an increasingly belief in the collective aspect of scientific work led to an introduction of generic spaces for communication – canteens, cafés, atriums and lobbies. However, these shared spaces are spaces of redundancy and their characteristics do not necessarily create productive collectivity as intended. Their spatial ambiguities are a consequence of their undefined spatial or functional relationships to the production process. Thus, this dissertation is an attempt to challenge conventional relationships or non-relationships between efficiency of layout and productivity and to establish new ones suitable to an era of knowledge economy – which is based on ideas of interaction and collaboration. Looking closer at the science city (for example at the North Campus in Copenhagen), it is apparent that it lacks housing connected to spaces of production. Instead, they are separated and generic. Few student housing and hotels on the site have a conventional corridor layout with living cells on both sides. On the ground floor there are usually shared spaces, such as kitchen, canteen, living room, computer room and laundries that fulfil the need created by small living cells planned according to principles of floor-area efficiency. 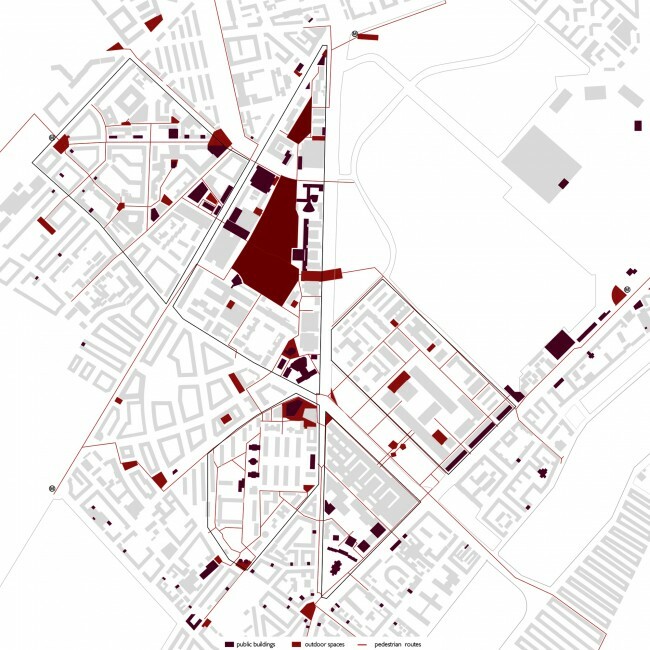 Housing in the masterplan is not an important part of the architect’s concept of “knowledge networks” and has no spatial or programmatic characteristics that would relate it to knowledge production. There is only a weak attempt to vaguely link housing projects to commercial, leisure and cultural functions (libraries, lecture halls, exhibition spaces and meeting rooms) and the surrounding. 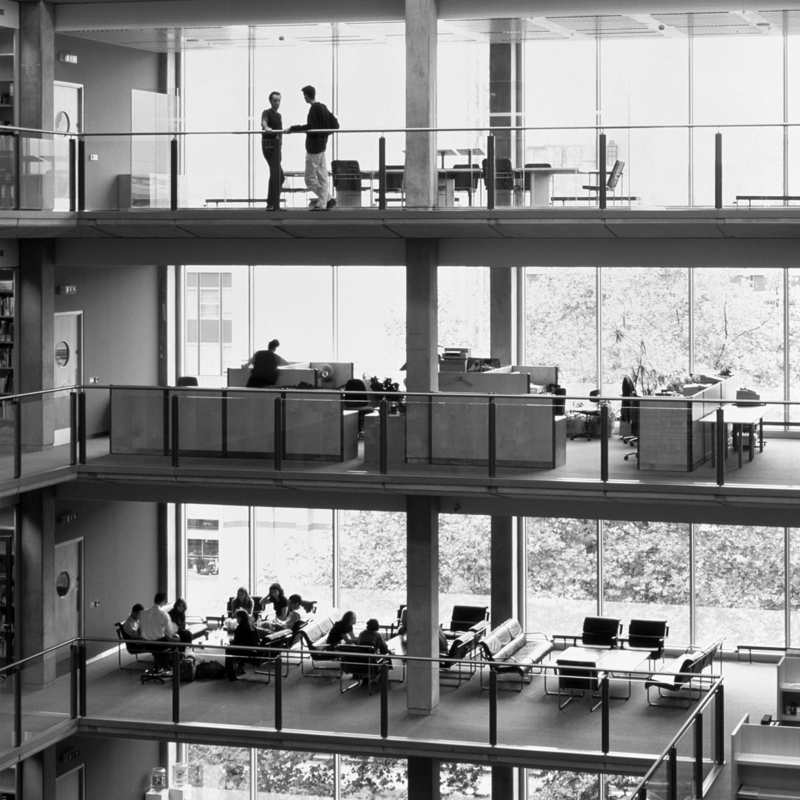 The role of these ‘knowledge’ spaces linking working and living is to supplement housing transform it into an attractive place – fostering additional communication between scientists. However, so far this link from living to the production is not spatially defined. This group of buildings includes spaces of reproduction with shared facilities, but the ‘collaborative’ nature of these shared spaces in relation to knowledge production lacks clarity in its architectural expression, thus, offers an opportunity for reinvention. The main spatial contradiction in existing designs of science cities is the attempt to achieve a balance between two imperatives that are meant to increase knowledge production: a highly specific environment for scientists (spaces providing special conditions for concentrated scientific work such as labs) and a generic urban space (accommodation, retail, entertainment, etc). When analysing a science campus, attention to these two groups (spaces of production and reproduction) and to their different spatial relationships needs to be given, and challenges the science city as an environment for collaboration. Thus, organising the science campus in the most efficient way is now increasingly understood as a problem of the small scale, which is to give spatial characteristics to the knowledge economy and stimulate knowledge exchange and productivity. 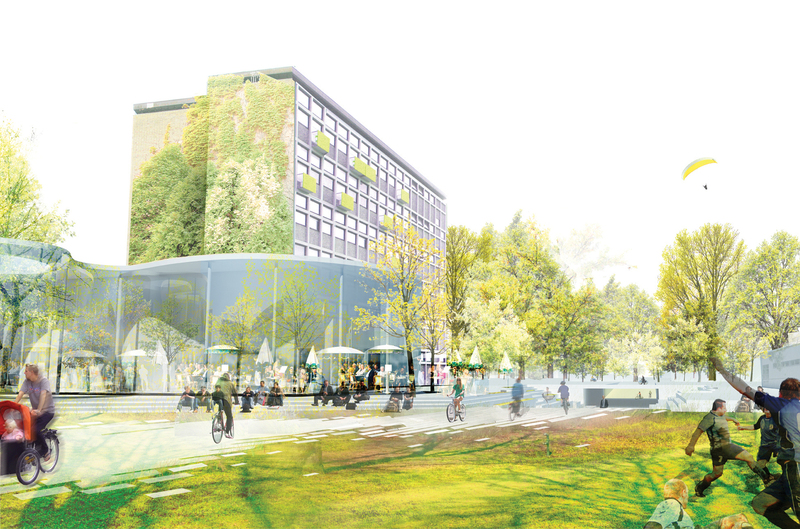 The COBE masterplan for the Copenhagen Science City accordingly transforms an inner-city, low-dense campus into a knowledge hub by intensifying the area, providing mixed-use functions and inserting a series of spaces for interaction. They create so-called ‘knowledge networks’ that are in fact a series of conventional public spaces, indoor and outdoor, that appear to coalesce into what is labelled as spaces for collaboration. This misconception is a result of the vagueness of relationships between city, domesticity and production. 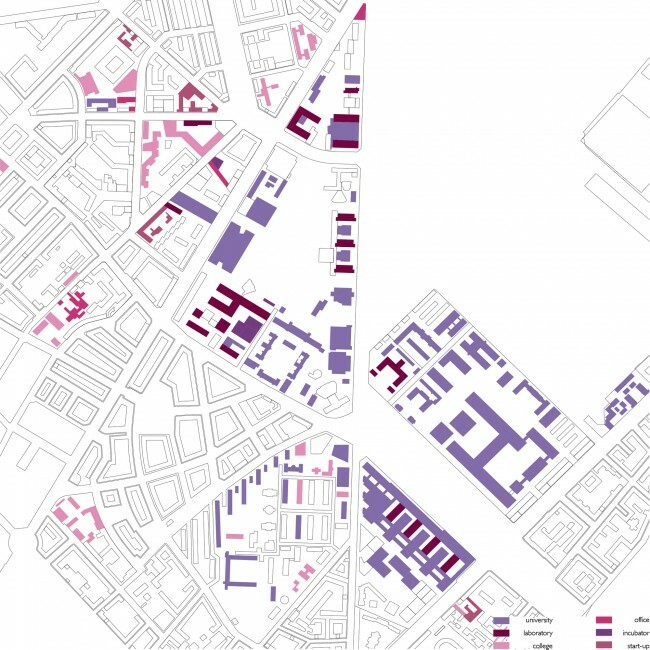 The goal of the Copenhagen Science City is to create a number of districts that are morphologically different from each other. 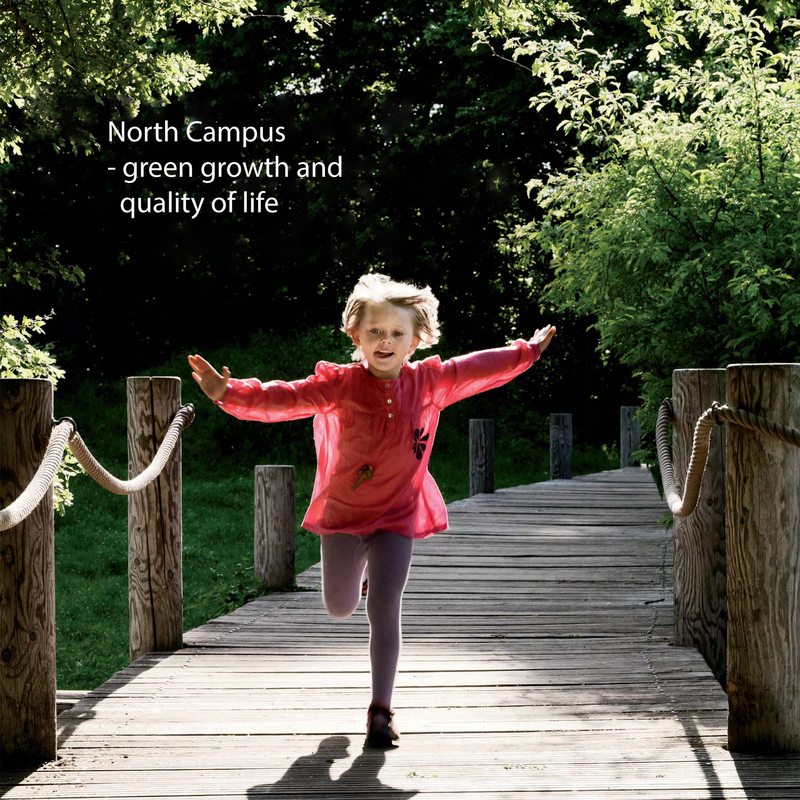 The morphological differentiation aims to distinguish the science campus from the city and to articulate differences that are otherwise not legible. The importance of lifestyle to attract scientists and their families points to the significance of domesticity and housing yet is ignored in the planning of the science city. As lifestyle is essential to science cities, even if purely driven by a need for branding, the relationships between spaces of production and domesticity should be rethought. And housing is a critical part of lifestyle. Thus, how can the science city be spatially rethought through the organisation of the interrelationships between production and reproduction spaces? 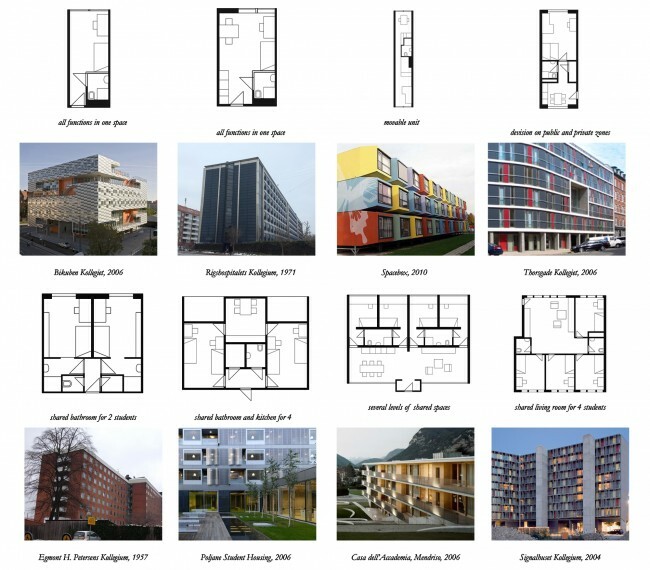 How does domesticity shape spaces of knowledge production? Based on this, more specific questions can be asked that relate to design problems and a design brief. How do diagrams of domesticity, more specifically diagrams of the collective living, allow us to rethink the spatial problem of knowledge production in science cities? How will the shift in the domestic diagram establish new zoning in science cities that is not only functional but also morphological? As a starting point, the analysis of living spaces in student housing is chosen due to its specific balance between individual and collective spaces and their direct link to the production of knowledge. 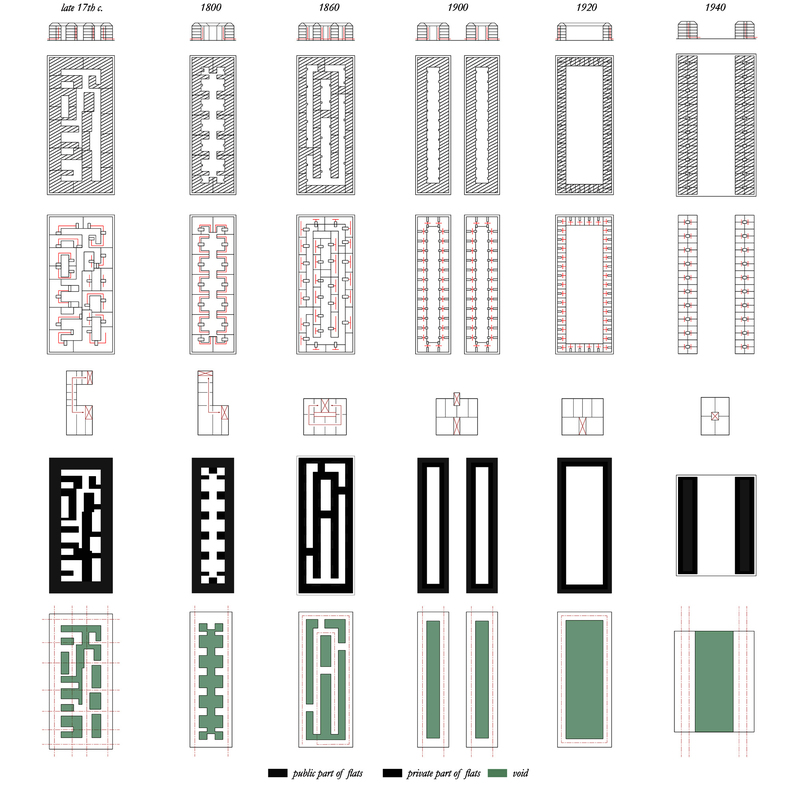 What are the domestic diagrams of university housing in the science city that are no longer based on processes of efficiency? 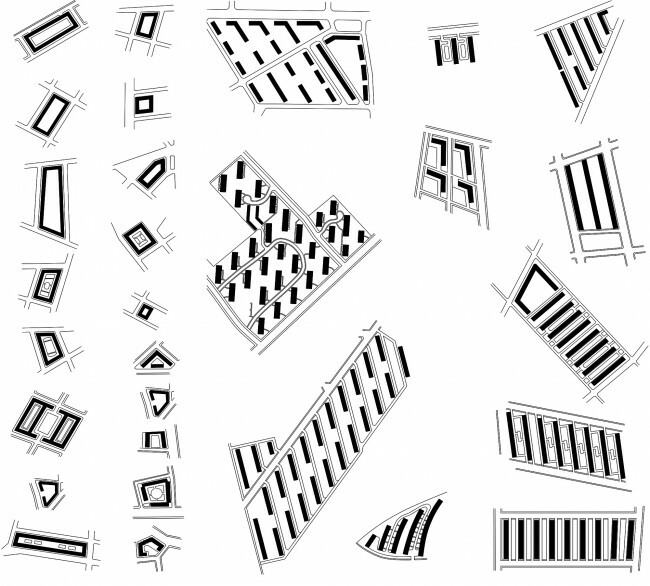 What would it mean for the structure and organisation of architectural design? What are spatial organisations within collective living that relate them to the process of production? This thesis attempts to identify how diagrams of collective living were related to production in the past; how domesticity has changed today; how production sequences in both industrial economies and post-industrial knowledge economies effect spatial organisation at both urban and architectural scales and what collective spaces in housing can contribute to the knowledge production. At the architectural scale, spaces such as informal meeting areas, cafes, canteen, lecture halls, lobbies, libraries are described as collective, collaborative or shared spaces and became a subject of attention in recent design projects for science cities but also buildings of the knowledge economy in general. But looking closer at these places, they are in fact ordinary spaces between buildings or groups of people within building and, in fact, are not necessarily collective or linked to the production of knowledge. Thus, collaborative spaces are often just synonym of conventional collective or shared space. What then actually makes shared spaces collaborative and efficient in terms of knowledge production? To begin to answer this question, collective spaces will be analysed in the thesis through terms of production in the context of three types of collective living: monasteries, communal housing and student housing.